Marti offers custom design, color combination consultation, and original designs for apparel and home furnishings via her business, Art Directions. Her textile prints are often custom designed for hotel and restaurant uniforms and many have been part of garment manufacturer collections for years. With over 30 years of experience in textile design and art direction, you can trust Marti to anticipate the challenges of designing a harmonious and polished look in all her work. Her credentials include more than a decade as art director for Honolulu’s G. Von Hamm Textiles, art direction for Hilo Hattie, and countless custom projects working with interior designers and corporate clients to bring a unified, professional appearance to hotels, restaurants, and a variety of other venues. Her clientele includes some of the most prestigious hotels and businesses in Hawaii, but she is happy to work with businesses and individuals of any size, and is willing to take on a variety of projects from small and simple, to large and complex. She can work alone or as part of a team of designers. She is not only talented at generating a color palette for projects from scratch, but she is very skilled at designing textiles for uniforms and furnishings to harmonize with existing themes and colors. Additionally, she has the experience to assure all files will be delivered screen ready. 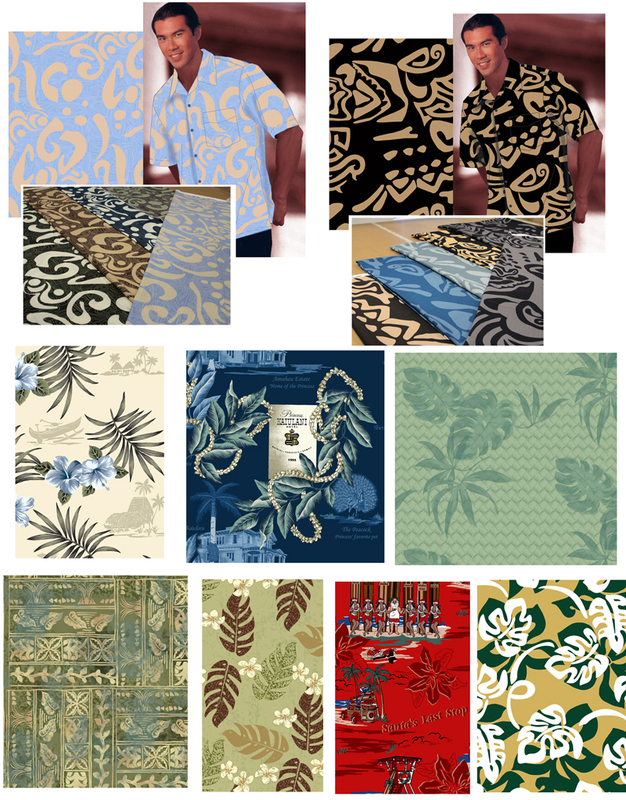 Marti’s color sense is highly sophisticated, and it shows in the Hawaiian prints she designs. Her tropical fabrics and textiles are tasteful and refined, with enough vibrance to evoke the beauty of Hawaii without looking too bright or tacky. She will work hard to create a combination of tones appropriate to Hawaiian interiors and clothing that is always stylish and classy. She currently accepts freelance textile design work upon request. Please contact Marti if you are interested in commissioning a custom fabric or textile design, or if you would like to consult with her to create a color palette. For more information, feel free to call 808-263-2121.